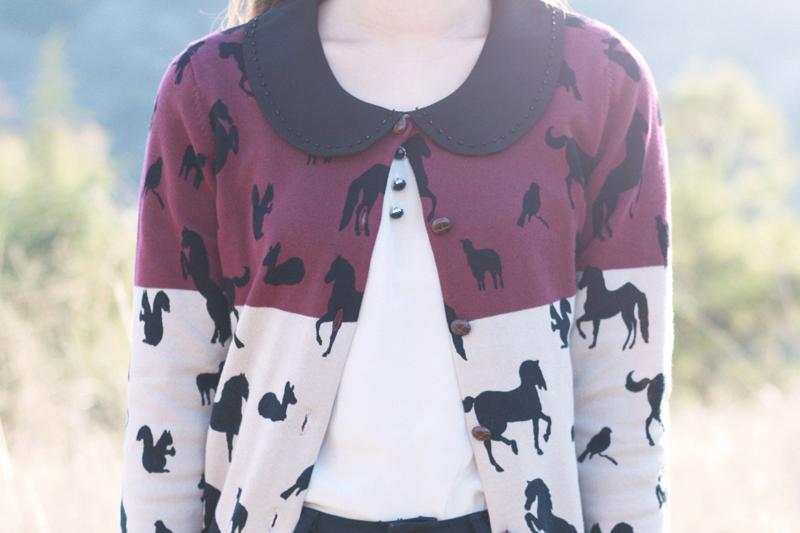 This Animal Kingdom cardigan by Knitted Dove truly is the best of both worlds. 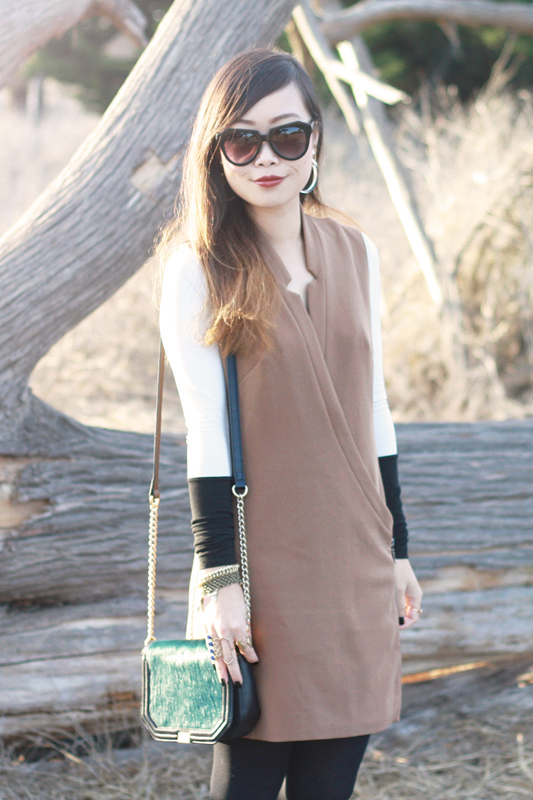 Colorblock and animal print, how can one resist? 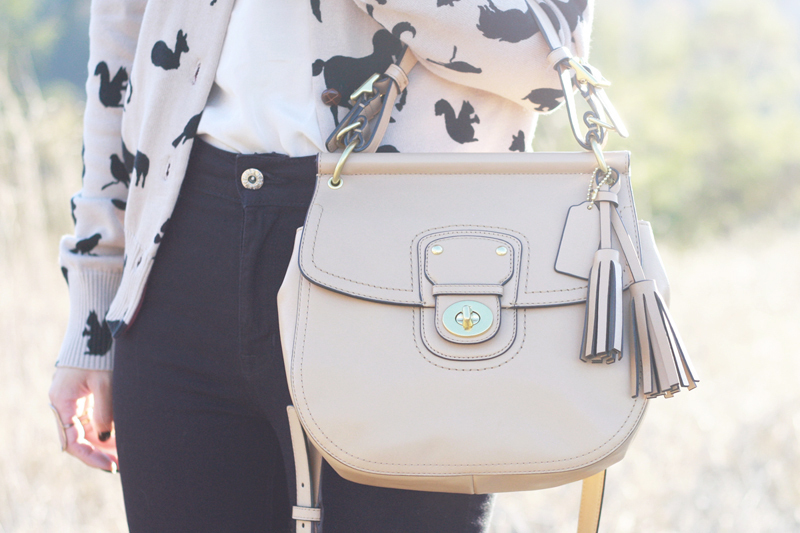 The merlot and beige look amazing together and I love how the print is of all and not just one kind of animal, it sort of reminds me of animal crackers and that's a good thing! I paired it with a peter pan collar blouse, black high waisted jeans, lovely laser cut flats from Irene's Story, and my new Coach Willis bag. Animal Kingdom cardigan c/o Knitted Dove. 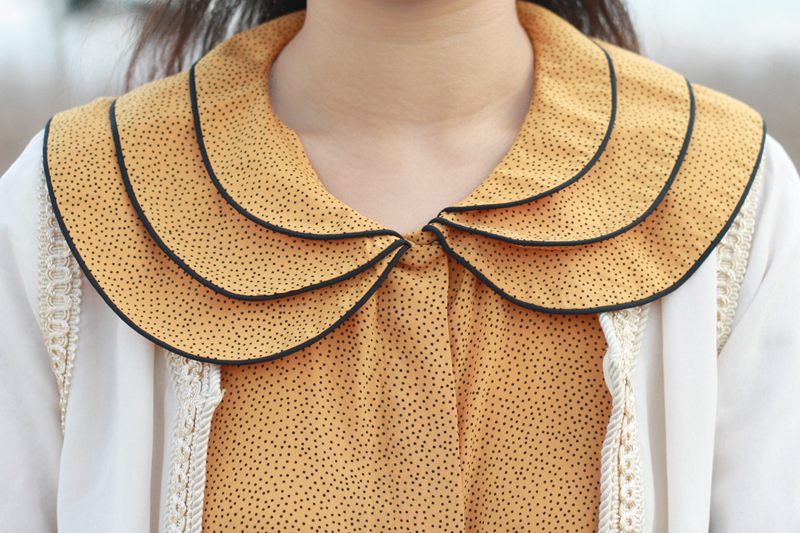 Peter pan collar blouse from F21. Black high waisted jeans by Just USA. Laser cut flats by Bamboo c/o Irene's Story. 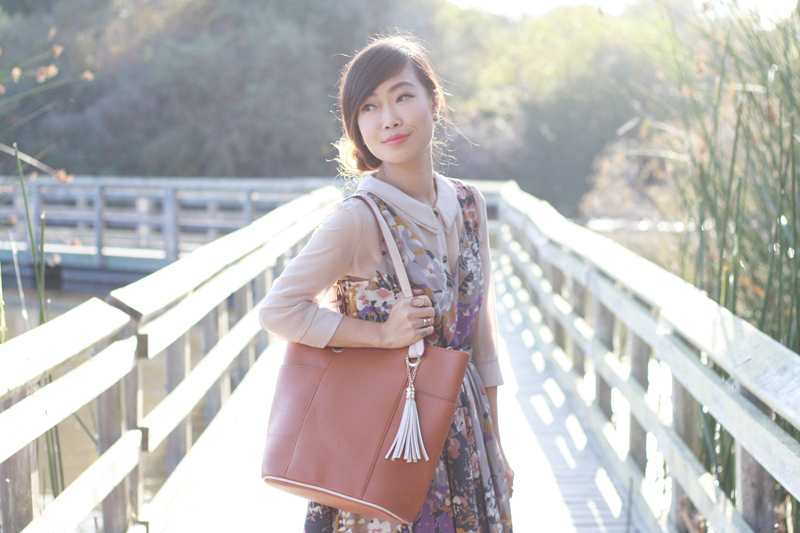 Willis bag in sand by Coach. It is that time of the year again when all I want to wear are tartan prints, sequins, and anything else that resemble holiday decorations! 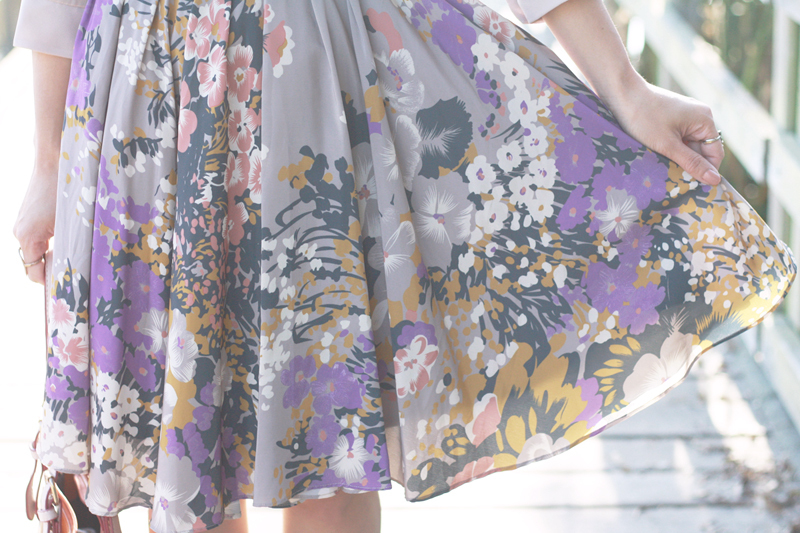 Dressing like wrapping papers (in a good way of course) might be my guilty pleasure. 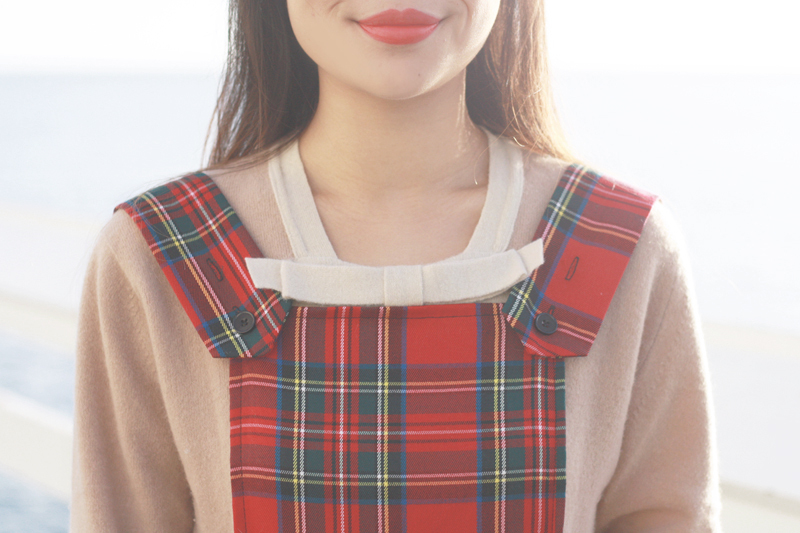 Isn't this tartan pinafore playsuit from Ark the cutest thing ever? 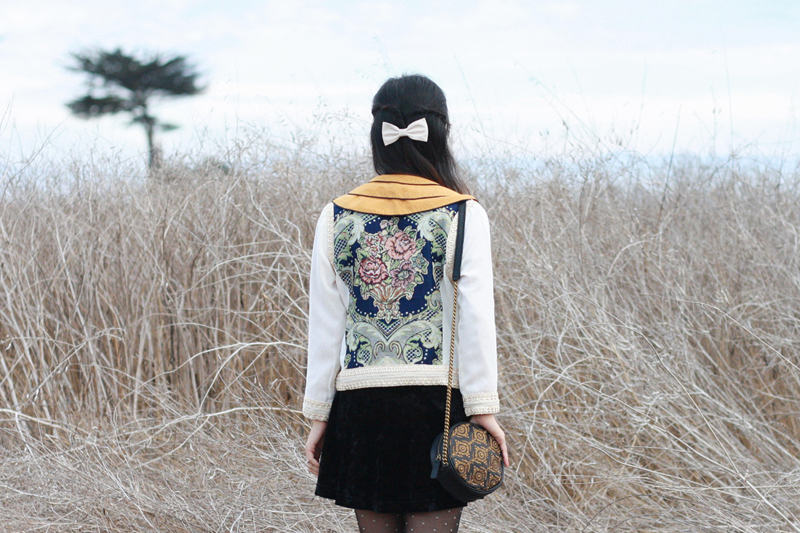 I layered it with a soft vintage mohair sweater with a bow and this super cozy jacket from F21. 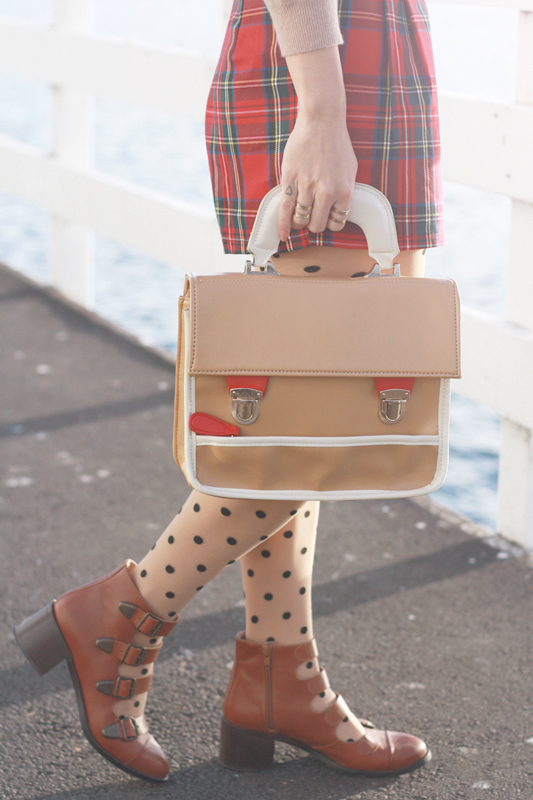 As for the accessories, the print-loving me wore some polkadot tights to go with the tartan, these awesome brown and clear ombre sunglasses, matching satchel to bring the tan and red together, and my beloved Topshop strappy leather booties. I am feeling the holiday spirit, are you? 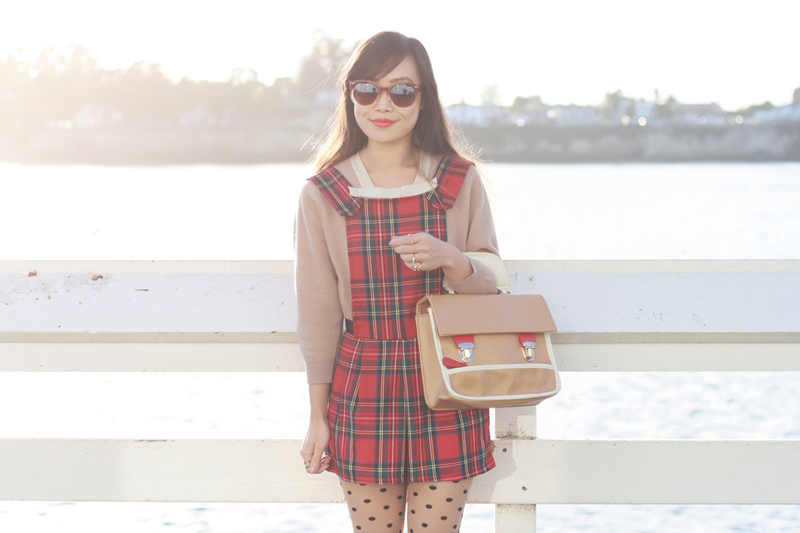 Tartan pinafore playsuit by Hearts & Bows c/o Ark. Vintage mohair bow sweater by Talbott of Lanastan from Etsy. 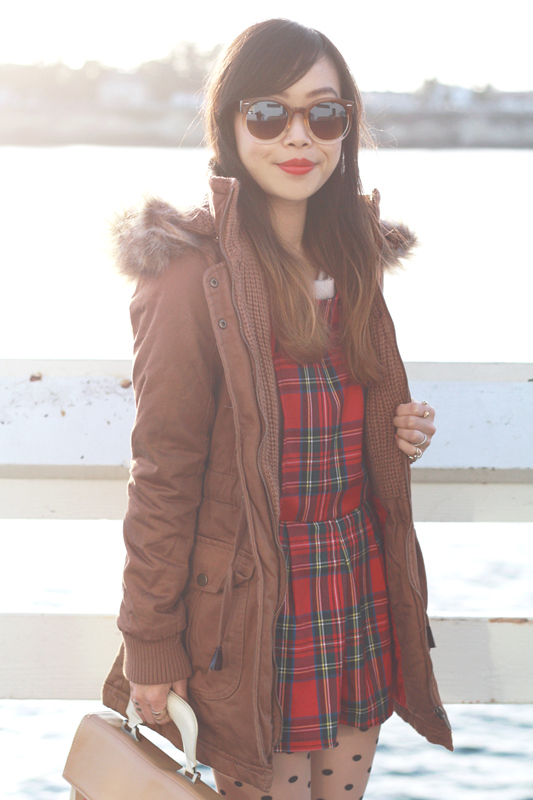 Fur trimmed parka jacket c/o Forever 21. Polkadot tights from Forever 21. 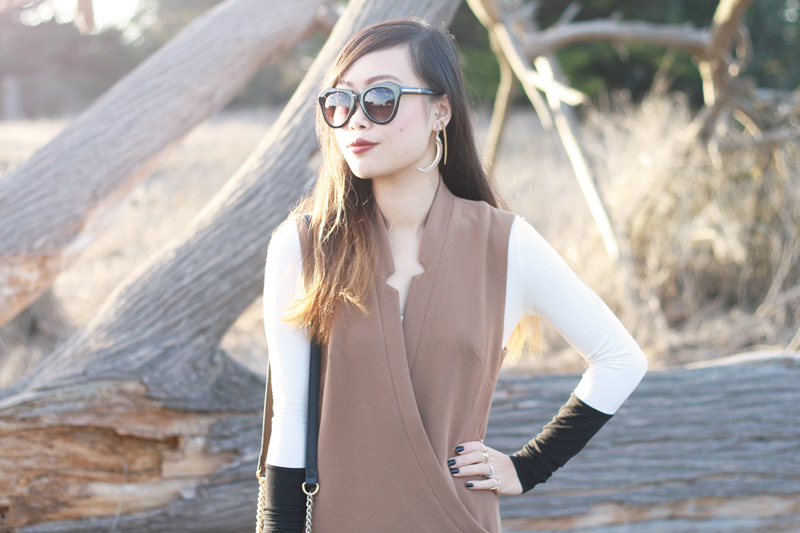 Brown and clear ombre sunglasses c/o Sunglass Warehouse. A couple of weeks ago I gave you a tour of my bedroom (you can check it out here in case you missed it), now it is time to show you my living room! I recently got some new pillows and throw so I decided to change up the frames on the wall to make it all more cohesive. 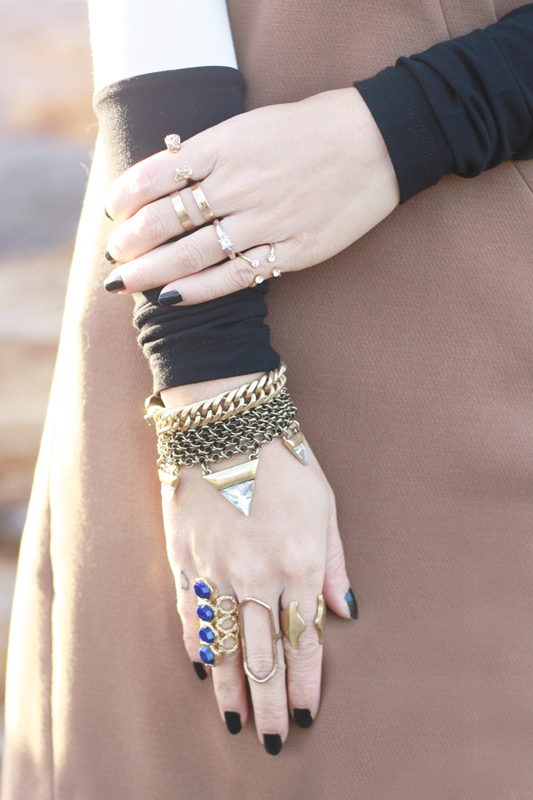 Totally digging this black, cream, and gold color scheme! 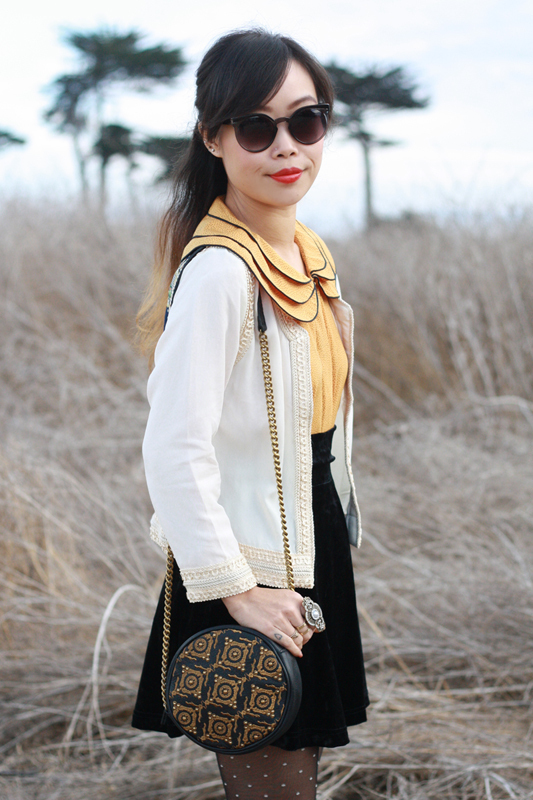 I get to keep my vintage flair and be chic and modern at the same time. 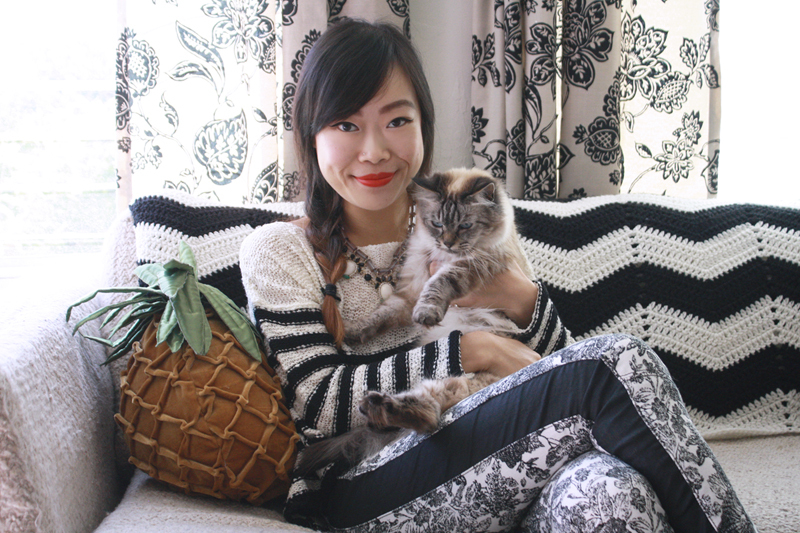 I couldn't help it but to wear black and white to match my decor! I am wearing a striped sweater from Irene's Story, etched floral jeans from 7 For All Mankind, and these very Celine-esque platformed wedges from Wholesale7. 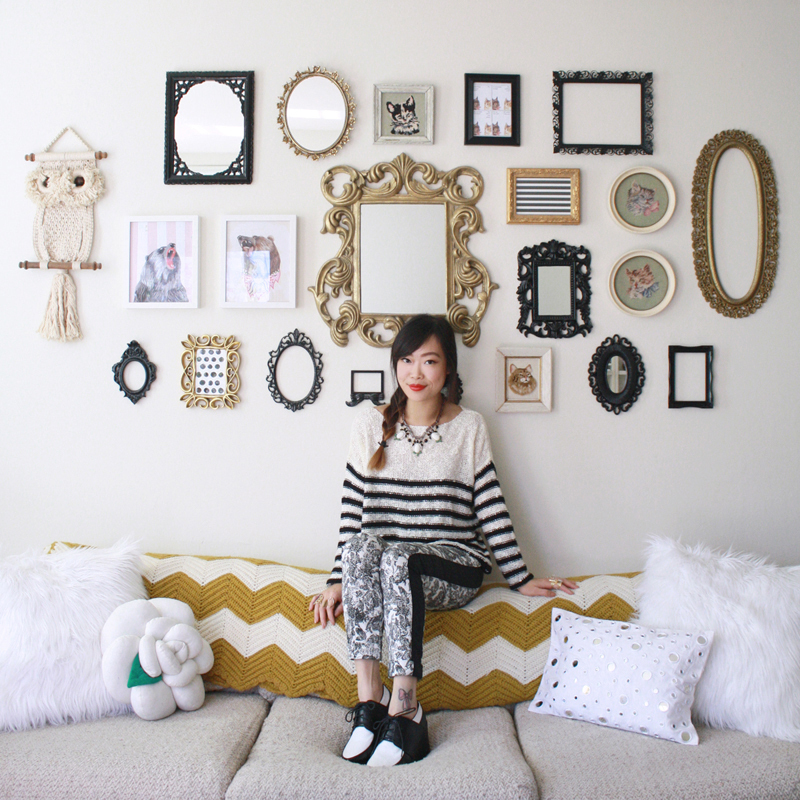 Striped sweater c/o Irene's Story. Etched floral jeans c/o 7 For All Mankind. 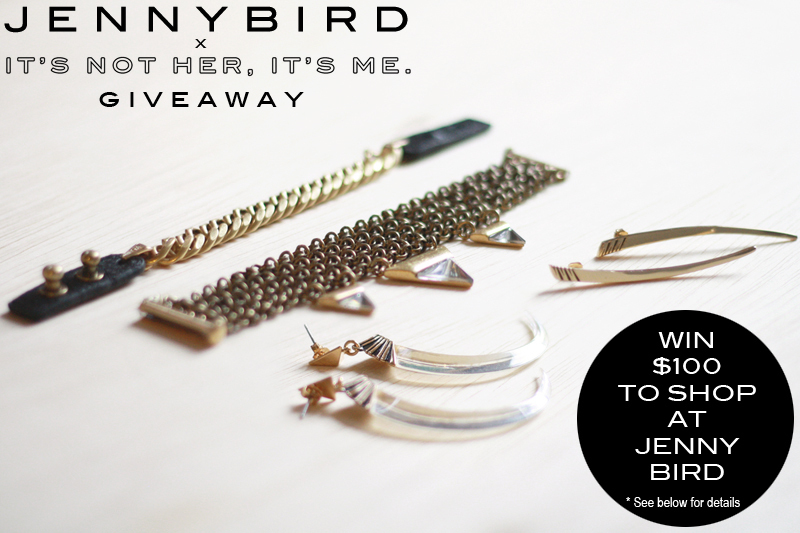 Scene Stealer necklace c/o JewelMint. Vintage mustard and cream chevron afghan blanket from Etsy. Off white faux fur pillows c/o VF Studio. White embroidered mirrors pillow c/o The Home Centric. Black and cream chevron afghan blanket c/o NativeSilverFeather. 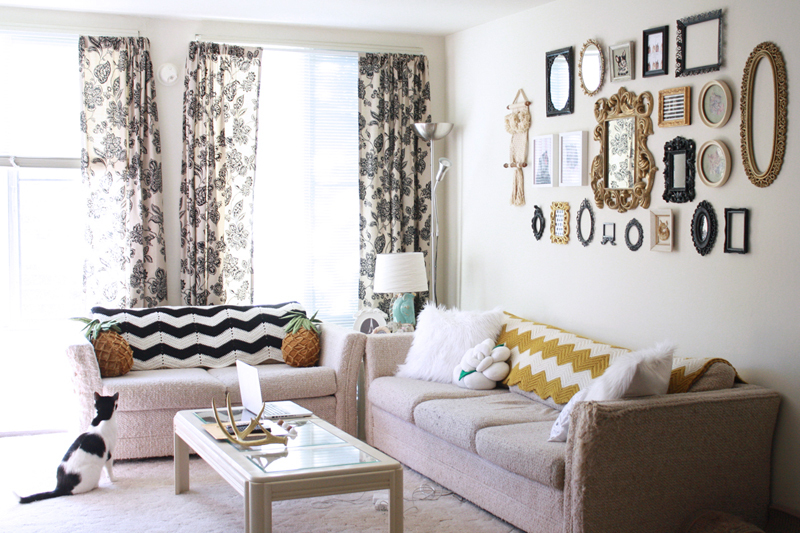 Vintage pineapple velvet pillows from Etsy. Gold deer antler c/o West Walnut. November has been lovely so far, the air is crisp and the weather is finally getting cold. 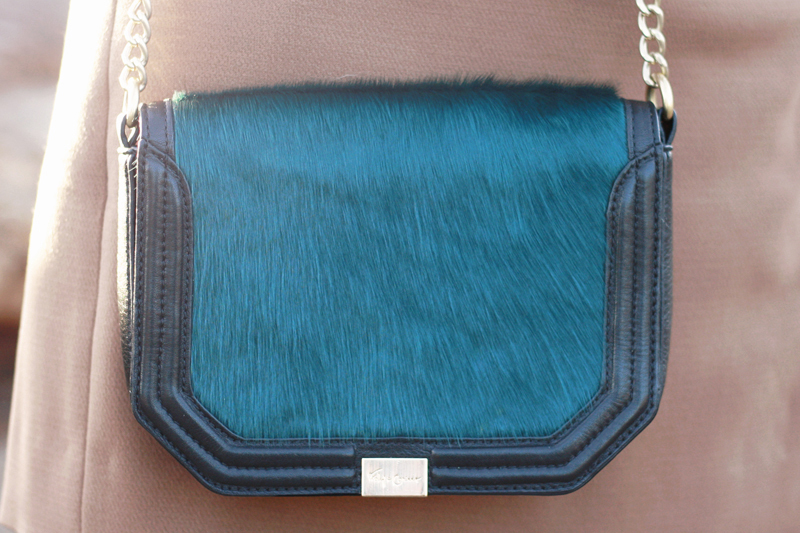 I am so excited for fall accessories and all the layering possibilities! Today's look is all about the adornments. 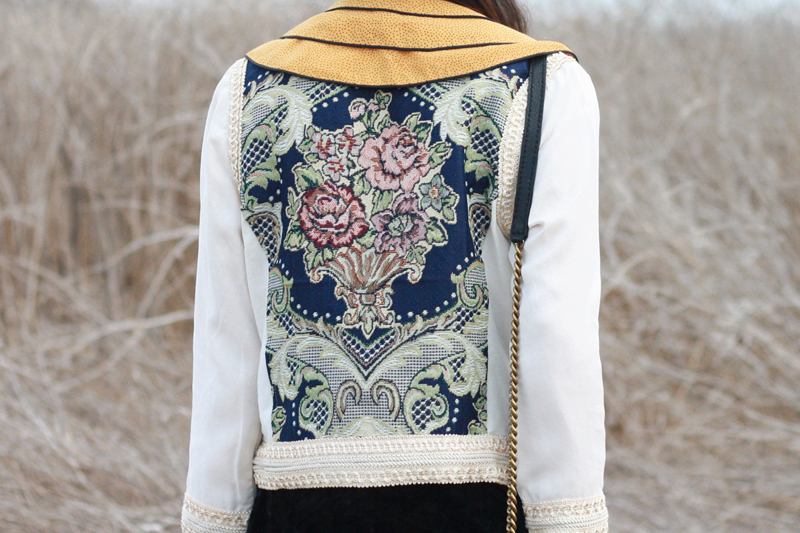 I have always loved tapestry so of course this jacket by Black Swan would caught my eyes with its beautiful floral tapestry and embroidered trim. 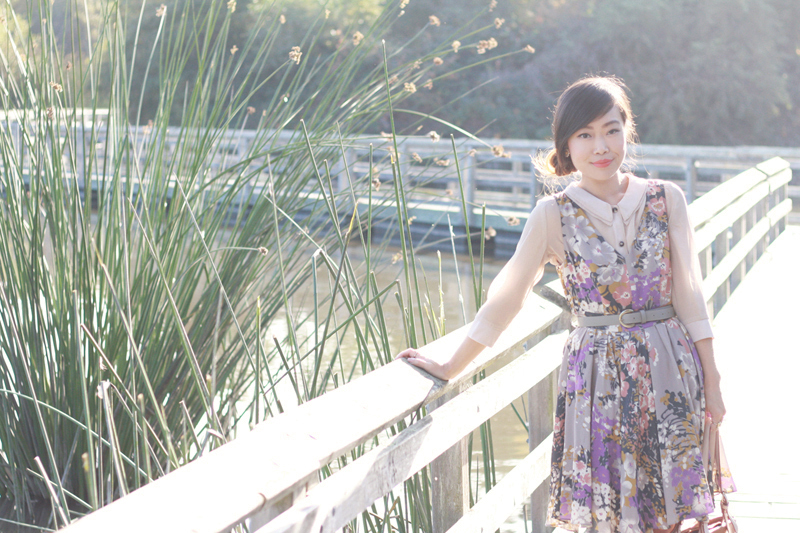 I layered it with a vintage silk blouse that has the greatest triple collars! Hey, third time's the charm! 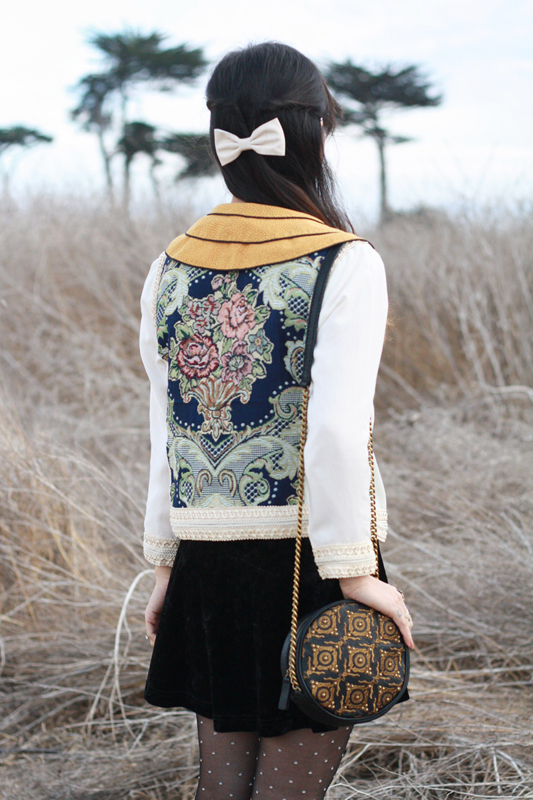 I paired it with a black velvet skirt, sheer dotted tights (to match the little swiss dots on the blouse), and a gorgeous embroidered and studded bag by Isabella Fiore. 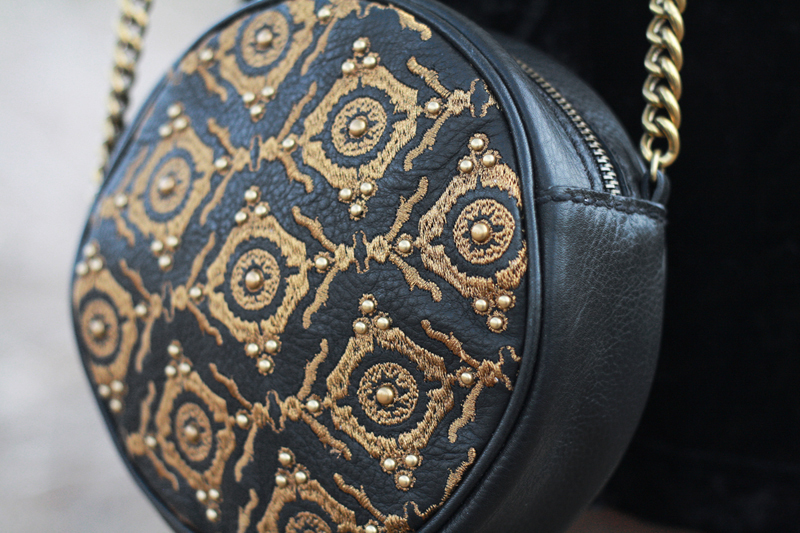 I don't know about you but I am just loving all these details! 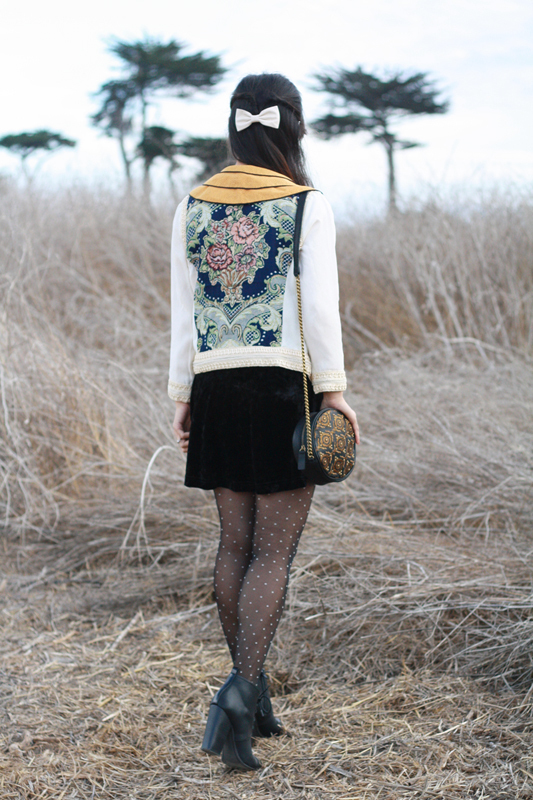 Floral tapestry jacket c/o Black Swan. 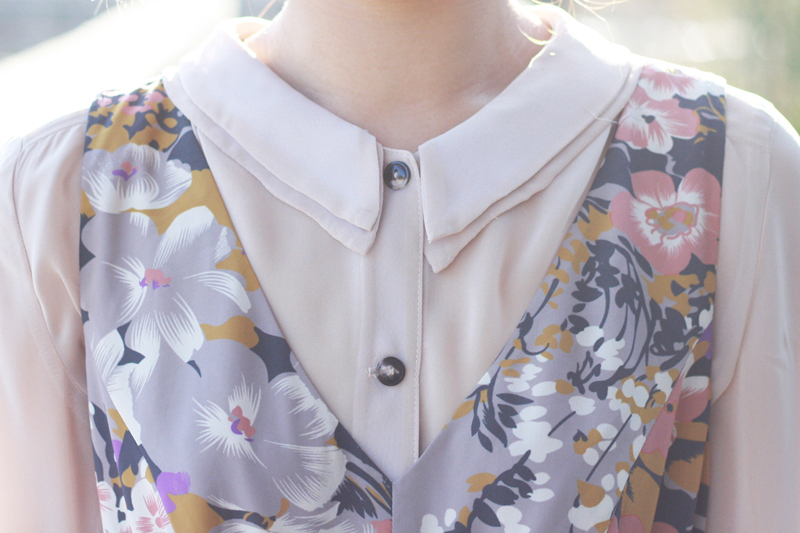 Thrifted vintage silk blouse with triple collars. Black velvet swing skirt from F21. 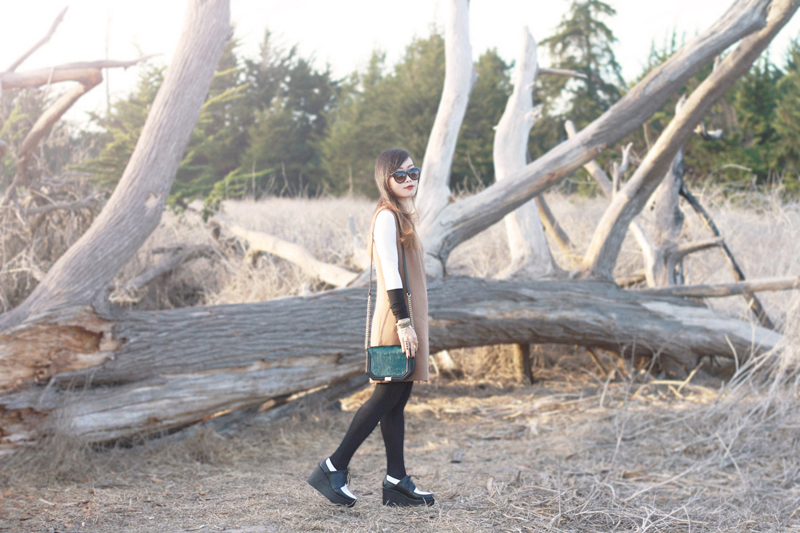 Sheer dotted tights c/o F21. Black leather booties from Zara. 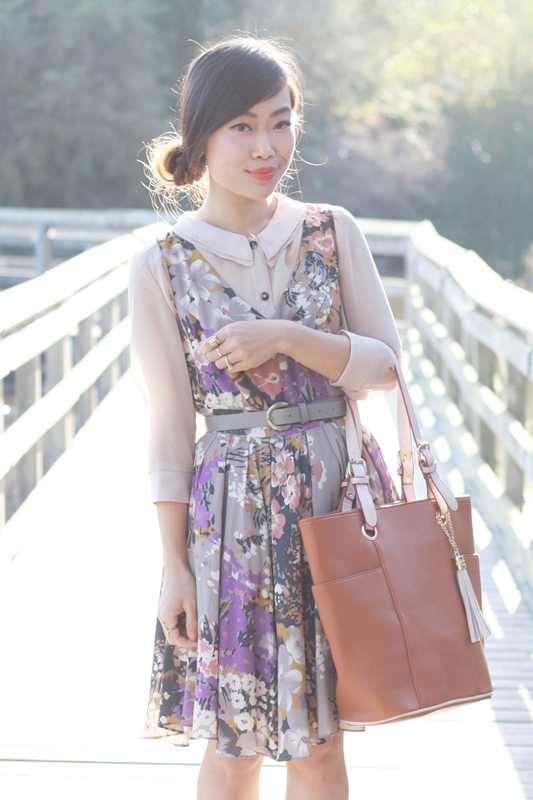 Floral chiffon dress c/o Darling. Double collared sheer chiffon blouse by MBD. 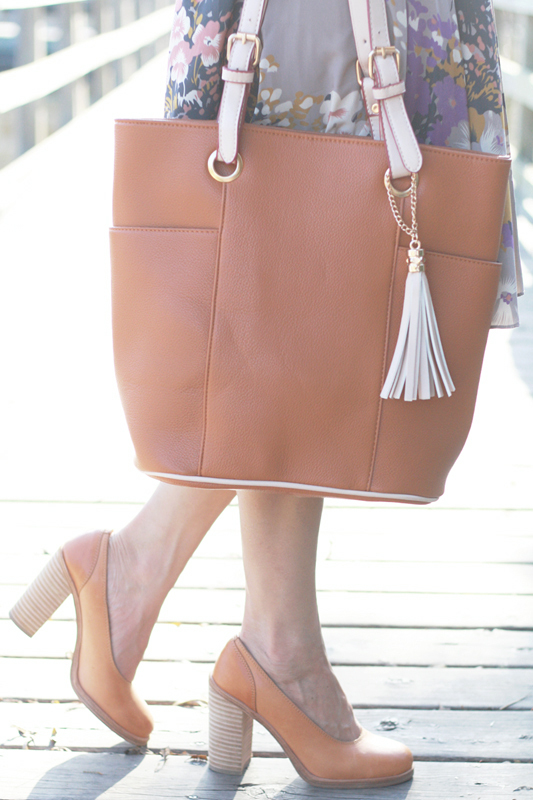 Tassel tote c/o Handbag Heaven. Leather pumps c/o Swedish Hasbeens. It has been a long time since I've done a food post, so here it is! 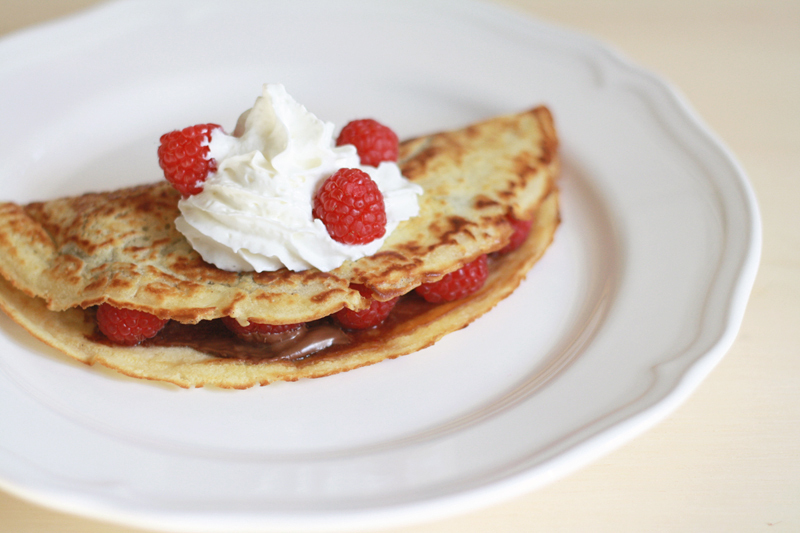 Lately I can't stop making crepes for breakfast. It is so easy, delicious, and pretty to look at! You can also use whatever fruits you want but my favorites are strawberries and raspberries. 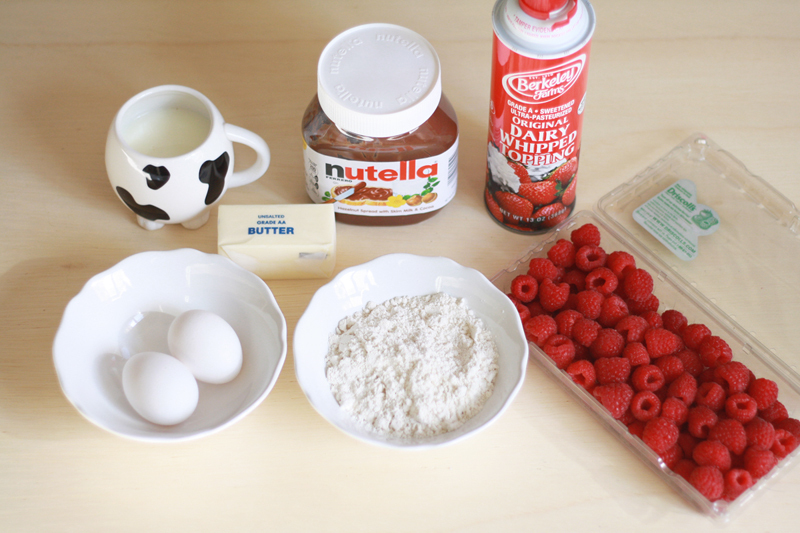 In a large bowl, mix together the Bisquick, milk and eggs until smooth. Heat a pan over medium high heat, add butter, pour about 1/4 cup of batter into the pan and tilt to spread it evenly to cover the pan. 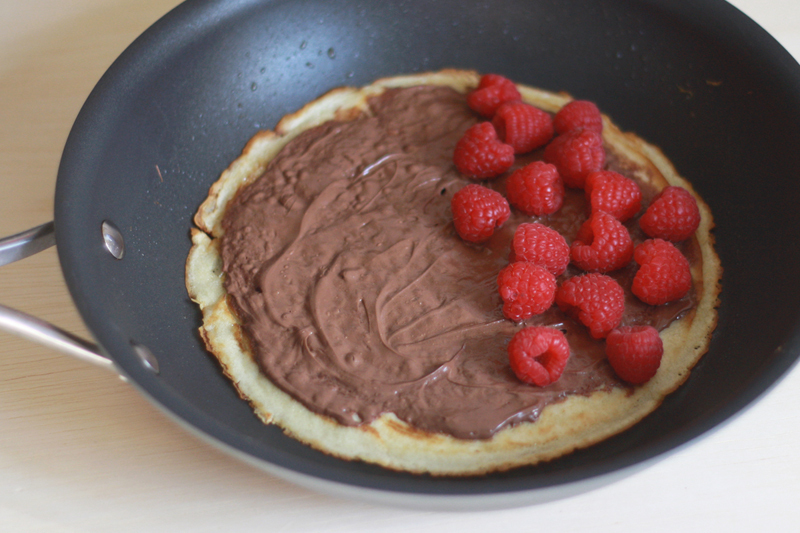 Cook until firm and slightly golden, flip the crepe over and while the other side is browning, spread nutella and add raspberries (or your choice of fruits). Fold it in half and put it on a plate. 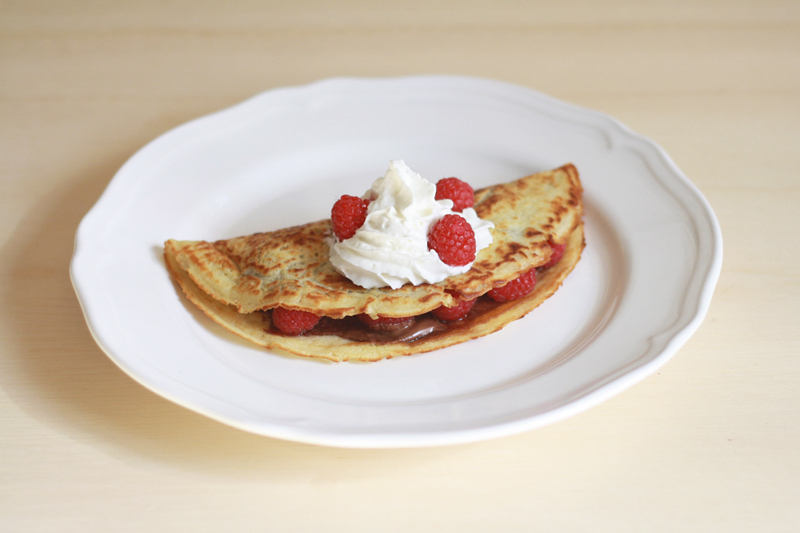 Add some whipped cream and throw a couple of pieces of raspberries on top to make it pretty! Yum!